Custom made and not sold in stores. Since these shirts are custom made there are not refunds or exchanges so please select your size carefully! It is so comfortable and it fits perfect. 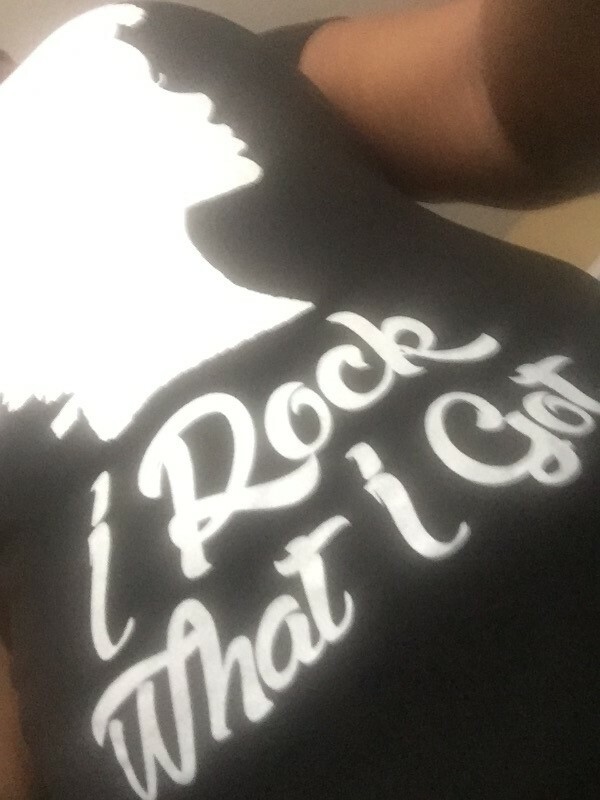 I wore this to a baby shower and felt cute stylish in "I Rock What I Got Tee" shirt. My shape doesn't go with the shirt. I wosh we had the option to pick a different shirt style. Other than that it is a very nice shirt. Great fit. 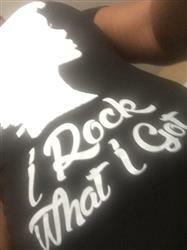 Love my tee! !